All the things in this apartment are so nice!!! I would definitely come to this apartment again! The flat is very well organized and comfortable. Nothing was missing, nevertheless we had a very short stay here. The owner is very kind! Apartmemts not far from city center and main shops. Direct road to Dead Sea. There is barbekue on balcony. Well equiped kittchen. Host was waiting for us at arrival. Lots of very nice unexpected touches, e.g, maps, guides, shampoos, bottle of water, coffee for maker, very good cable TV with multiple languages. We were met by the host who provided the key and took us upstairs. We were arriving later than initially expected and the host accommodated our delay without an issue. Very clean, comfortable apartment with 1 full bathroom and 1 half-bath, which came in really handy. well equiped, comfortable apartments, nice coffee. Big and spacious apartment with all facilities you may think you need. Cleaner than hotel level of hygien. Great owner. Lock in a great price for Sunlight Holiday Apartment – rated 9.3 by recent guests! Located in Arad, Sunlight Holiday Apartment is a self-catering accommodations with free WiFi, air conditioning and room service. The apartment comes with a seating area with a sofa, a safety deposit box and a cable flat-screen TV with a VCR, a full kitchen with a dining table and a balcony overlooking the town. Linen and towels are provided. Grocery deliveries can also be ordered and barbecue facilities are provided. Free public parking is possible at the apartment. 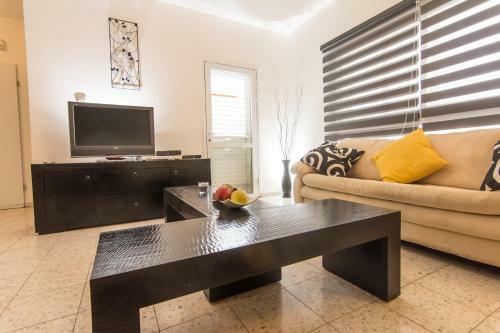 The Ben Gurion Airport is located 59 mi from Apartment Sunlight Holiday and airport shuttle can be booked. When would you like to stay at Sunlight Holiday Apartment? 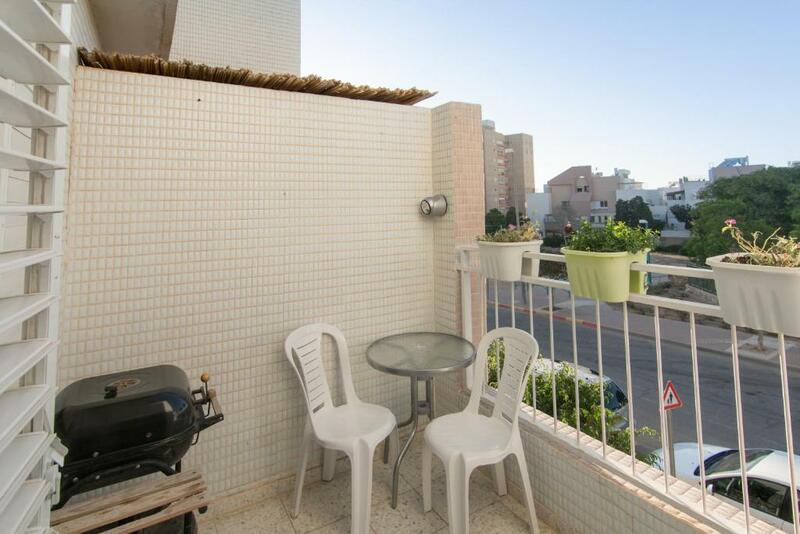 This apartment features a kitchenware, toaster and barbecue. House Rules Sunlight Holiday Apartment takes special requests – add in the next step! Please inform Sunlight Holiday Apartment of your expected arrival time in advance. You can use the Special Requests box when booking, or contact the property directly using the contact details in your confirmation. Cozy , clean and very comfortable. The neighborhood is a bit neglected. The apartmenr was well equipped and clean. The unit was very clean and very well equipped .